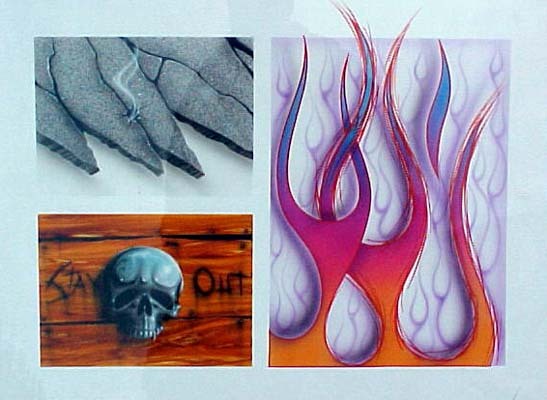 Here are some examples of the type of demos, and work that is done in the 3 day Graphics Workshop. In this design, you can see the balance between layout, faux finishing, masking, freehand, and pinstriping. All important techniques to be balanced together for a complete kustom graphics job. The panels, and projects vary for every workshop. Making it possible for alumni to return, and continue the learning process.